I have used Jeff at Birks Air several times. As a small business owner, it's so important to have people like Jeff that we can call on. Work is always reasonably priced, done on time and done well. I wouldn't hesitate in to reccomend him. Birks came out on a Saturday, was at my door an hour after I called. Good rates, excellent service. Birks came when none of the other companies would. My system is one of most painful system in town, Jeff is the great tech and he pinpointed problem and saved me thousands of dollars. Great job done in hot summer day! Jeff helped our business by servicing our air conditioner which he did in a timely fashion and very professionally. He also took an old air conditioner off of our rooftop and made a sturdy and protective top to cover the hole it left in our roof. He disposed of the old nonworking air conditioner in an appropriate way. He did all of the above in addition to showing up at precisely the day and time he had arranged with us. His work is excellent and very exact. Additionally, though not required, he was very polite, kind and I will be delighted to recommend Jeff's Company's workmanship to any and all who would listen to me! I have used Birks Air conditioning for many years. Jeff and his team have always been very friendly and honest. I usually can get a same-day appointment. My air-conditioner broke in the dead of summer a few years ago. Jeff and his team were able to come out the same day. They didn't just fix my air conditioner, he told me that my warranty had not expired on the condenser yet. I was able to use my warranty and it saved me thousands of dollars. I will definitely be a customer for life! Birk's AC has done various jobs for us. He has done jobs at our church as well as at our home. He is experienced in air conditioning, heating, electrical, etc. Jeff is very reasonable with his prices and never "adds to" without discussing it first. He is a man of his word and guarantees all of his work. I would recommend Birk's AC to anyone that is needing AC work done. From fabrication to installation, our fire wrap certified professionals will insure correct airflow, fit, aesthetics and structural stability to meet the most demanding restaurant and industrial needs. Birks offers hood solutions for your restaurant. Choose from stainless steel backsplash, fire suppression systems, exhaust hoods, commercial kitchen ventilation or custom work per project requirements. Birks is fire wrap certified with Morgan Thermal Ceramics FireMaster® protection systems. We install UL-classified and FM-approved commercial firestops per latest building regulations and fire codes. 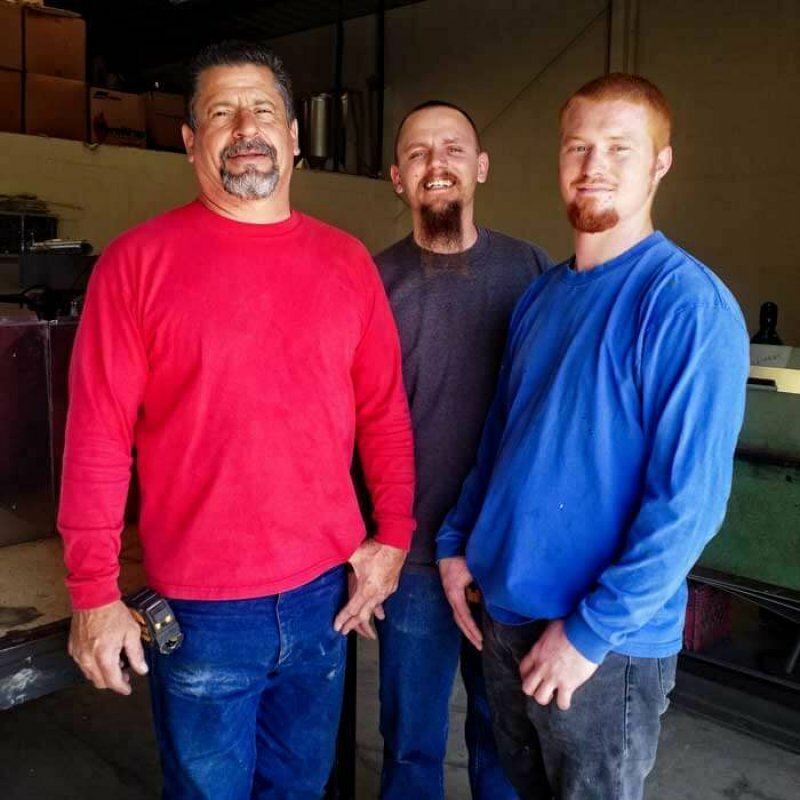 Birks mechanical team can design and build any special material duct systems such as FRP, Stainless Steel, PVC and a variety of coated ductwork including custom grease exhaust systems. Birks custom fabricates and installs a variety of stainless steel & other materials. Our liability coverage fully protects you per the project requirements (liability, performance bond, post-construction and labor). For both commercial & residential customers, Birks professionally audits your usage needs and structure, recommends energy-efficient solutions and manages all aspects of removal, installation and disposal. Since 2007, Birks has proudly served Bakersfield and the surrounding Kern County area.